Should 'impact' ever be used as a verb? A UK government ministry has reportedly told its civil servants never to the use the word "impact" as a verb. What's wrong with it? 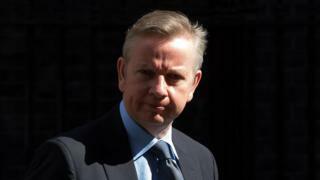 The new Justice Secretary, Michael Gove, was once in charge of education and he seems to be carrying the pedagogic urge to his new job by reportedly outlining to senior civil servants how their correspondence should be written. Among other rules, he says that sentences should not begin with "however", and there should be no contractions of "does not" to "doesn't". While these strictures are decidedly conservative, there may be more crossbench support for his rule that "impact" should never be used as a verb. Gove has never been the darling of the Guardian newspaper, but his position sounds strikingly similar to that taken by its own style guide: "Say 'affected' rather than the awful jargon phrase 'impacted on'. Only a tooth can be impacted." "Proposals set to impact vegetable and potato growers"
"BT UHD service to impact Sky and Virgin"
"Train strike to impact fans going to Cardiff One Direction gigs"
But if it is wrong to use "impact" as a verb, it's a mistake which people have been making for centuries. The OED records Philemon Holland's 1601 translation of the Latin historian Pliny: "The seed of this hearbe remooveth the tough humours bedded in the stomacke, how hard impacted soever they be." A more problematic example for Gove - who once told his staff to "read the English masters to improve your prose" - is that of the great English writer EM Forster. In his 1910 novel Howard's End Forster uses "impact" in exactly the way Gove objects to: "The desire for a more inward light had found expression at last, the unseen had impacted on the seen." Kate Wild, a senior assistant editor at the OED, says :"The use of nouns as verbs is an extremely common process - to take everyday examples, 'to table'." People are more inclined to object to the more recent conversions, "but of course you can't stop people using the language in the creative way". You can't stop them, but there are still people who see "impact" as another example of business jargon ripping through the English language like a bulldozer through a forest, felling nouns which have been standing proud in their natural habitat for hundreds of years in order to build ugly new verbs - "to action", "to task", "to effect". (The world of sport is also guilty - the London 2012 Olympics was full of the verbs "to medal" and "to podium"). Kathy Salaman, who runs The Good Grammar Company, which offers language support to businesses, says that Gove may have a point about "impact" but adds: "Much as I hate using business jargon, it's such a small thing - and I think that he's going to have to accept that the majority of people using it as a verb will accept its meaning."